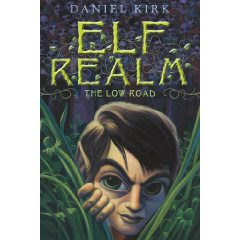 The first book is the new P.B Kerr book which is the next instalment of The Children of the Lamp series entitled "The Eye of the Forest".Which has just been published in the U.S and will not come out in England till April for some reason.Looks a good read. When Matt and his family move to their family's new development, they don't realize that they've inadvertently stumbled into the middle of massive upheaval in the Fairy world. With the elves' territory disintegrating, and dark factions looking to seize control, apprentice mage Tuava-Li must defend her territory - even when that means cooperating with Matt, a human and their natural enemy. Matt just may hold the key to keeping the elf realms from certain destruction. Andy Mulligan - RIBBLESTROP - out April 2009 Simon and Schuster looks a good read. Roofless dormitories, distracted teachers and a lethally dangerous underground labyrinth - Ribblestrop's visionary headmaster is out of his depth even before the pupils arrive! And when they do - what a bunch! There's Sanchez, a Colombian gangster's son hiding from kidnappers; Millie, an excluded arsonist and self-confessed wild child; Caspar, the landlady's spoiled grandson; the helpful but hapless Sam and his best friend Ruskin, plus a handful of orphans from overseas, who are just happy to have beds - even if they are located in a roofless part of the building...Anything could happen - and anything does! I will try and get reviews up soon. And thank you all for sending any of the above books to me.Also if any one would like to review books for this site please let us know.